Please note that both programs need to to be installed on the same computer. 1. 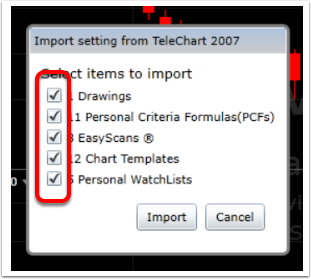 Open TC2000 Version 18. 3. Select Import TC2000 v7. 4. 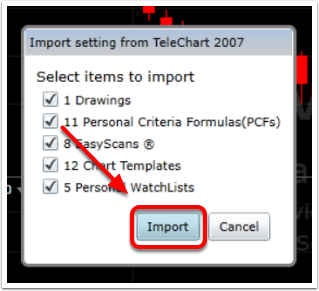 Check all boxes beside items to import. 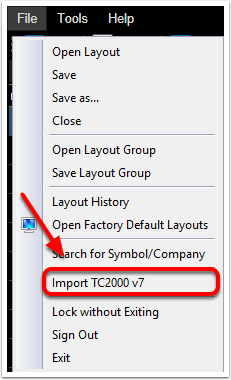 Once the import completes, your Version 7 settings will be available in Version 18.